Up or down? To me this photo tends to trick the eye. It kind of looks like the escalators are moving at times. Or is that just my warped imagination? 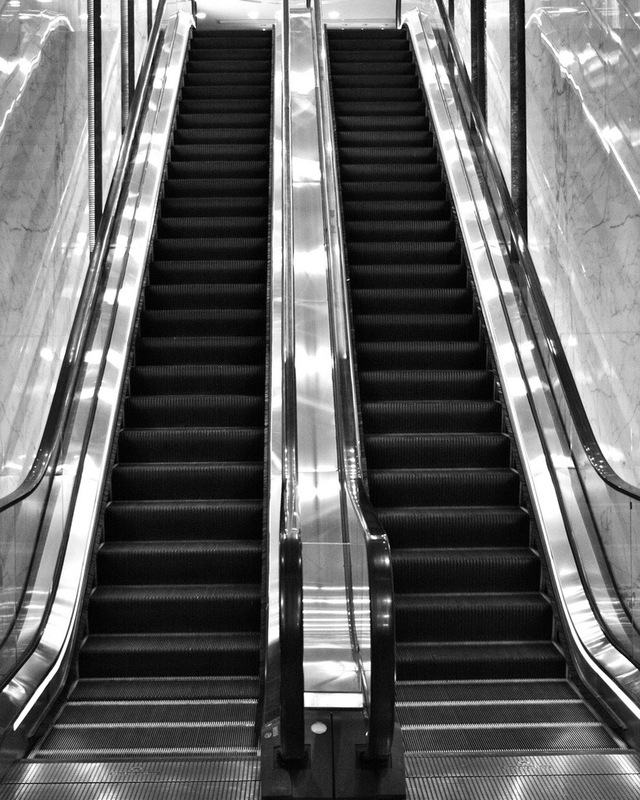 This entry was posted in Flash Photography and tagged down, escalator, photography, up by whysamiam. Bookmark the permalink. Yes, to me it looks like they might be moving at times also. Oh good! It’s not just me seeing it! Haha!